This week on TGA, we are gonna peek into a special back room in the armory. This room has been visited briefly before, but not in any significant way. The room we are going into is the Caliber Compatible room. It has firearms like a Marlin 1894 CSBL in .357 Magnum/.38 Spl and sitting below the Marlin is a 6″ barreled S&W “L” Frame 686 in the .38 SPL/.357 Mag caliber. It also contains rifles like the Henry 22 Mag #H001M Lever Action rifle, and underneath it sits a Ruger Single Six 22LR/22MAG ... See More combo revolver. Sitting right under the Ruger Single Six is yet another gun… Another 22LR/22Mag combo gun. But which one? Wanna find out? Tune in and keep in mind, thats only 2 of the “doubleheaders” we are gonna tackle while we are inside the Gunmetal Armory this Thursday at 6pm/7pm Pacific, 9pm Est. 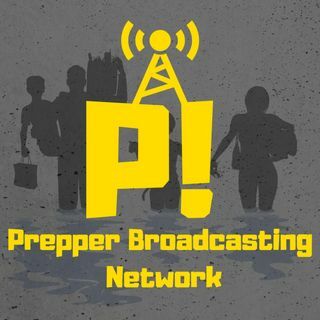 Only on the Prepper Broadcasting Network!! Plus we will talk about the 2nd Amendment, and any news you need to know about. I will also talk about any crazy stuff I noticed on the range or at work…aka “Range Days”… and anything else I think you guys might find interesting. We will also touch on our usual weekly segments, the Product Pick of the Week, and our Giveaway.